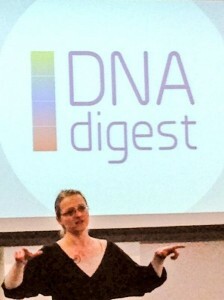 Last Tuesday, 29th April, our CEO & Founder Fiona Nielsen, presented DNAdigest at the Wired Health BUPA startup stage along with other leader medtech solutions provided by startups. Read more here. The BUPA Startup Stage at Wired Health showcased emerging entrepreneurs from the world of medicine and health. Here’s a roundup of the companies.